While spring's in full swing, there's still a short window for skating before the ice melts. The Rink at Rockefeller Center is open through April 28, and a number of package deals and kids' specials are still available. Skate sessions run from 8:30am to midnight daily, and off-peak times are your best bet for showing up without a reservation. See the daily schedule and rates here, plus info about private skate lessons. With the Spring Break Special running through April 25, kids up to age 10 skate free every Monday and have free skate rentals April 18–25. 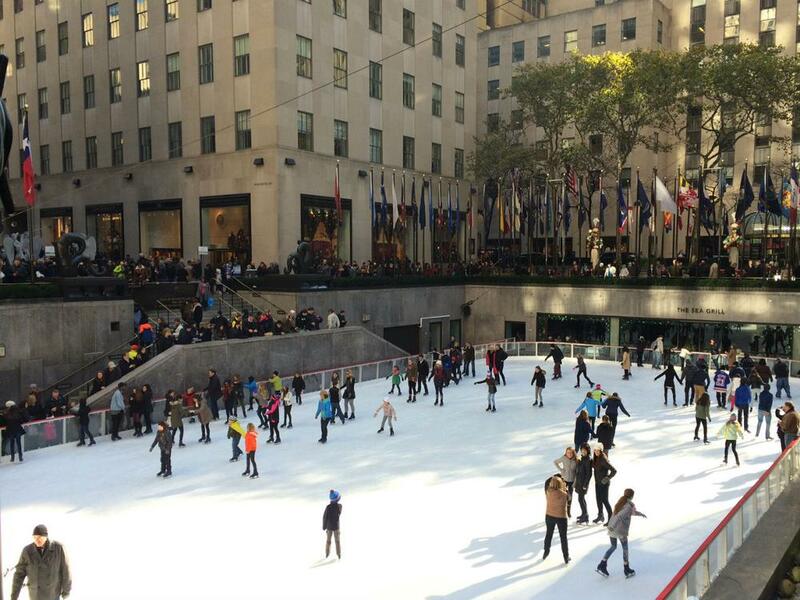 You can also pair up a trip to the Rink with breakfast, lunch, dinner, afternoon tea or a cocktail and light bite at Rock Center Café, facing the ice. And both the Café and The Sea Grill are offering a festive Easter brunch and skating package (with the Easter Bunny) on Sunday, April 21. For even more family fun, Spring Sunday this weekend, April 14, offers free activities for kids on the Plaza, and Top of the Rock is always a crowd-pleaser. For art lovers, the last days of the skating season will coincide with the April 26 opening of Frieze Sculpture at Rockefeller Center—including an installation around the Rink—so you can combine a walking tour of public art with your visit.